The half-man/half-robot Frenchman is set to tackle Nick Heidfeld's current record run of 41.6 seconds, an average speed of just over 100 mph, established in 1999. 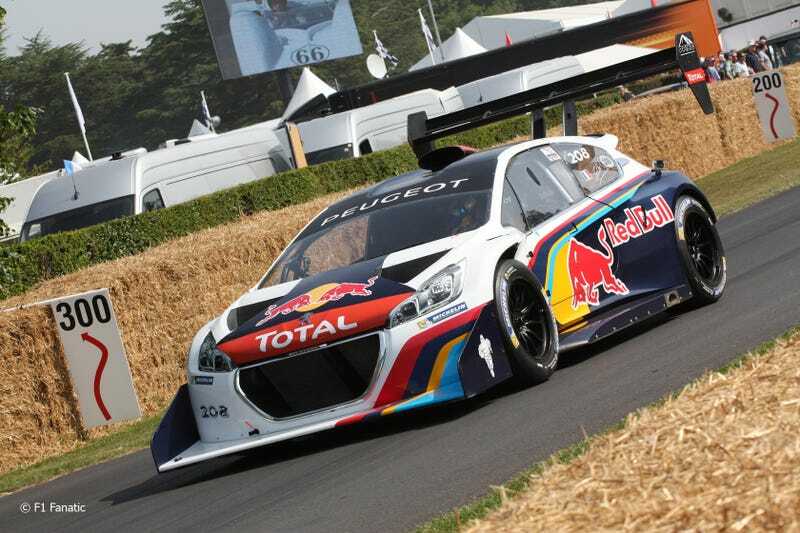 Loeb will pilot his insane Pikes Peak racer, the Peugeot 208 T16, as F1 cars were banned from full-tilt runs up the hill after Quick Nick set the record. Heidfeld set the record in an MP4-13 as a test driver for McLaren. I'm trying to find a source for this story but I recall reading that while Ron Dennis told Nick to just enjoy his experience, the young German took this a bit more to heart than intended and went all out, much to the chagrin of his boss.